The award jury, which was composed of building industry professionals, noted the high marks that occupants gave the Baker Center on environmental factors such as acoustic quality and thermal comfort. Those scores put the Baker Center above the 90th percentile compared to other buildings for all categories, and in the 97th and 98th percentiles in overall workspace and overall building satisfaction, respectively. “It’s a beautiful building, and people really like being in this space,” one juror said. The now iconic structure realized the vision of Dean Emeritus Phil Bailey to transform science education at Cal Poly and revitalize the campus core. 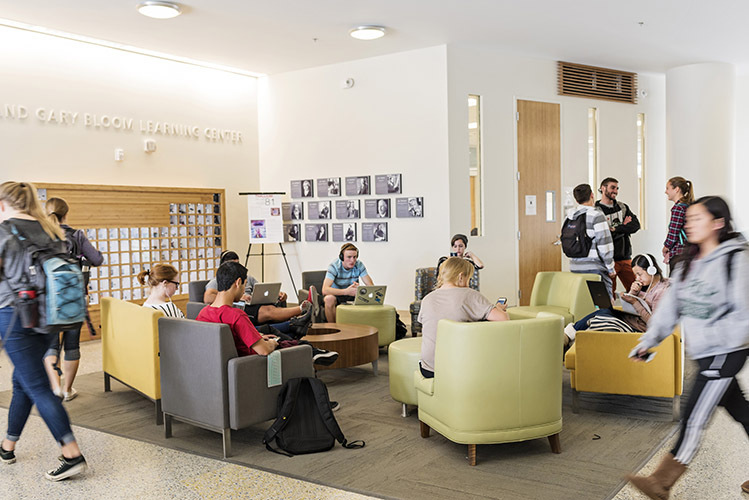 Named after former President Warren J. Baker, who was instrumental in securing funding, the 192,000 square-foot building — the second-largest campus structure — provides innovative instructional spaces and leading-edge research facilities and is a social hub for students across the university. The LEED-Gold certified building demonstrates numerous sustainable strategies: operable windows, radiant heating/cooling in offices and conference rooms, chilled beams in laboratories, a green roof, active monitoring of laboratory air, and an atrium designed to take advantage of daylight and passive ventilation. Cal Poly alumnus Ted Hyman (Architecture, ’79) also played a pivotal role as principal architect on the project for the team from ZGF Architects LLP. The Center for the Built Environment was founded in 1997 under the National Science Foundation Industry/University Cooperative Research Center program. CBE is a place where prominent industry leaders and internationally recognized researchers cooperate to produce substantial, holistic, and far-sighted research on buildings. The organization’s mission is to improve the environmental quality and energy efficiency of buildings by providing timely, unbiased information on building technologies and design and operation techniques.